A research project at the University of California Los Angeles is applying machine learning to understand how narratives are created through online interactions. The specific topic at hand involved whether children should be vaccinated or not, but the impact could be the creation of a more effective way to help people separate fact from fiction in certain kinds of social media conversations. A multidisciplinary team of researchers undertook development of a computational model that is intended to reflect how people think and communicate, in order to teach computers how to interpret the flow of posts on the internet as part of a "structured narrative." The project was the brainchild of Timothy Tangherlini, a self-described "computational folklorist" who teaches folklore, literature and cultural studies in the Scandinavian Section of the university. According to "'Mommy Blogs' and the Vaccination Exemption Narrative: Results From A Machine-Learning Approach for Story Aggregation on Parenting Social Media Sites," recently published in JMIR Public Health and Surveillance, the researchers worked with a dataset of 1.99 million discussion forum posts contributed by 40,056 users and viewed 20 million times on two parenting websites over the course of 105 months. "Our question was, could we devise computational methods to discover an emerging narrative framework underlying internet conversations that was possibly influencing the decision making of many people throughout the country or possibly world?" said Tangherlini in a prepared statement. The research team chose to focus on the anti-vaccine movement because the topic generated so much conversation online. "Tens of thousands of parents were exchanging ideas about child-rearing online and, through those interactions, creating virtual communities where they could share concerns, propose methods to allay those concerns, and share their own experiences," explained Tangherlini. As the research report noted, "In most vaccination stories from the sites we analyzed, it is taken for granted that vaccines and not vaccine-preventable diseases pose a threat to children. Because vaccines are seen as a threat, parents focus on sharing successful strategies for avoiding them, with exemption being the foremost among these strategies. When new parents join such sites, they may be exposed to this endemic narrative framework in the threads they read and to which they contribute, which may influence their health care decision making." The "major actors" are introduced in the context of a family with a newborn infant. The tension grows in the narrative as a "complicating action" is introduced: Should the family vaccinate or not? Counteraction occurs as the parents attempt to figure out how to avoid vaccination. The resolution of the story comes about when the parents settle on a strategy for gaining the exemption they want. "In public health, we have hundreds of studies trying to understand the facilitators and barriers to getting vaccinated," said Roshan Bastani, a professor of health policy and management in the Fielding School of Public Health and director of the UCLA Center for Prevention Research. "Our data is generally obtained through tools such as questionnaires and electronic medical records. What these tools fail to capture are the very interesting conversations that individuals are having with one another that profoundly shape their views and actions related to vaccinating their children." 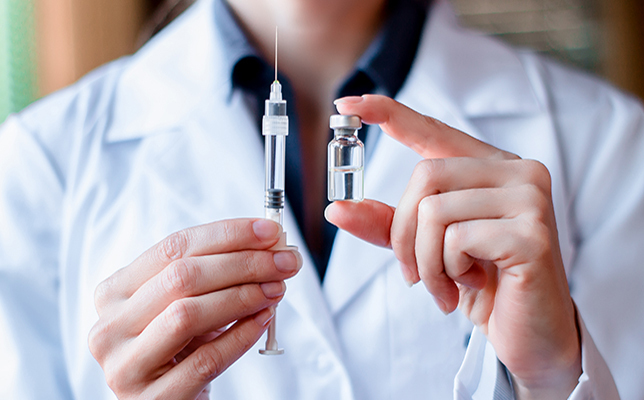 She added that the team hoped to use the findings to design and test interventions "that may positively influence vaccination rates because they are more likely to address some of the key drivers of resistance." The methods introduced in the project could be applied to any topic, the team said. The research paper is available on the JMIR website here.